The idea for Premium Pixels came about after a fruitless search for a particular style of Photoshop brush. In the end, I made my own. Premium Pixels is where I share my design resources and I sometimes even throw in the odd tutorial for good measure. And who am I exactly? Excellent question squire. 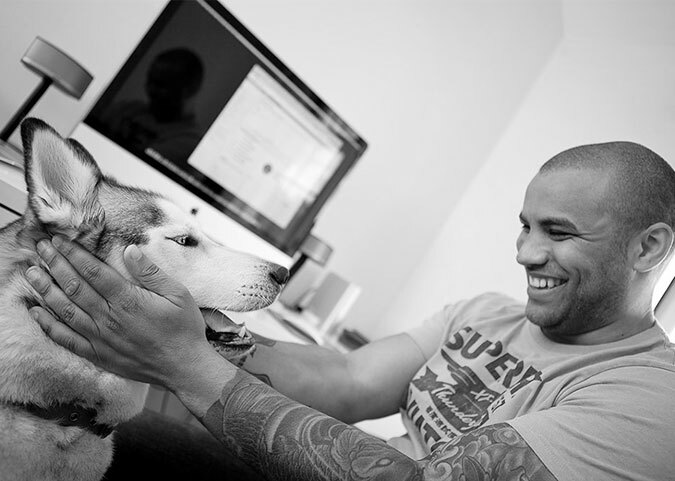 My name is Orman Clark and I'm a UK based Web Designer. I was born and raised in sunny England some 30 odd years ago (nope, I'm no spring chicken) and since that day I've explored all things design before focusing on pixels. Professionally, it's been an interesting journey to get here. It has involved a number of years in the Armed Forces as a Graphic Designer & Printer (yes they have designers in the Armed Forces! ), dozens of personal projects, a handful of businesses, and of course designing and optimising hundreds of clients' websites. Today, I've given up the life of a freelancer to focus on developing Dunked. I created Premium Pixels to share some of the resources and files I've created in my quest to make the web a more attractive place. Hopefully they will save you a bit of time and perhaps even some of you who are just getting started with design will learn something new... maybe. Be sure to keep up to date with what I'm up to over on Instagram, Dribbble and Twitter.